Become an Affiliate | Budget Credit 360 | Learn. Save. Grow. Find out how Budget Credit 360 can help your credit-challenged clients… and help you improve your pipeline! In the ever-evolving finance industry of today’s market whether its real estate, auto industry, etc, we are seeing increasing changes in the way underwriters review loan applications. What was once considered a good credit score (an averaged FICO score of 680, for example) and approved quickly is now examined carefully. Such scores can result in your clients being denied a mortgage rate that would have enabled them to close on their homes and move forward with their lives and dreams. Many instances of bad credit often involve issues the “buyer” is not even aware of, such as late payments or medical collections. Even if they do know there were negative items in their credit history, they might falsely assume the items were already corrected, or they might think older items were automatically removed due to the “7-year rule.” And what about all those credit cards? Were they advised by their Lender to close out their credit card accounts under the false impression that it would improve their credit score? Let’s hope not! There are many seemingly minor issues that can add up to low credit score for your client. Merely requesting a credit report online is not enough; all negative items need to be aggressively disputed for your client to achieve their highest potential credit score. How many times have you rushed over to your selected lender to get your client for pre-approved, only to witness them instead become “locked” into a rate, without knowing what was on their credit report? Is it possible that you could have helped them obtain a lower rate? An improvement of 100, 75, or even 50 points in your client’s credit score can result in tremendous difference in their interest rates. You can help your clients achieve this without ever stepping outside the boundaries of your duties and responsibilities as their Mortgage Broker or Real Estate Agent while complying always with the Rules and Regulations of your state’s Real Estate Commission. 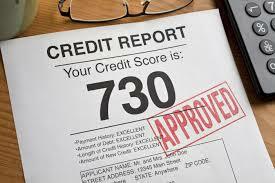 Introduce your clients to credit Restoration which will be an asset to their financial investment. Both you and your clients can benefit from your association with us. 6 out of 10 Clients You Refer Graduate Our Services with Scores High Enough to Qualify for Financing! Beginning your parnership with Budget Credit 360 is as quick and easy as filling out a short online form. We will then reach out to you and answer any questions you may have. There is no cost and no obligation!